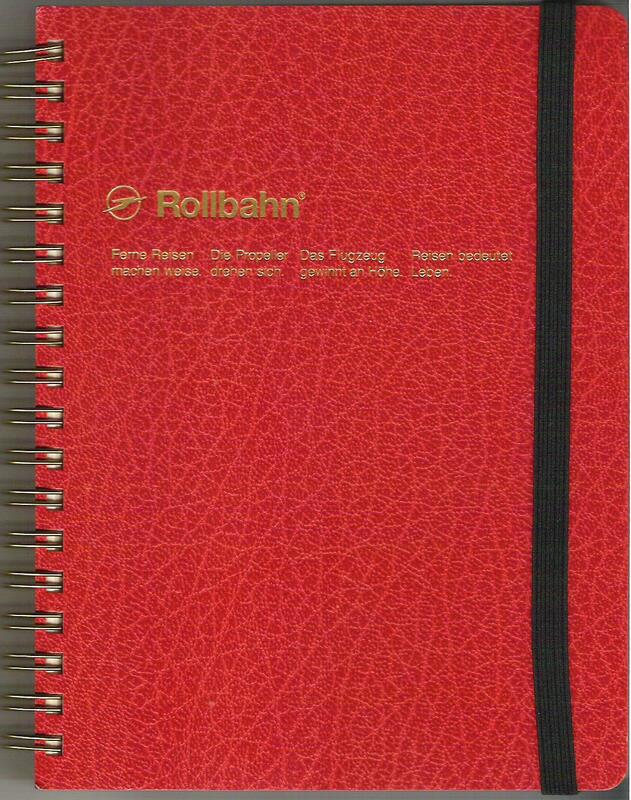 Is there anything nicer than a notebook with grid-lined pages? Maybe, but they are pretty nice - and I count myself very fortunate to have just obtained a new one. And thanks mostly to a longish wait in the Vancouver airport, this is what ended up on page one. 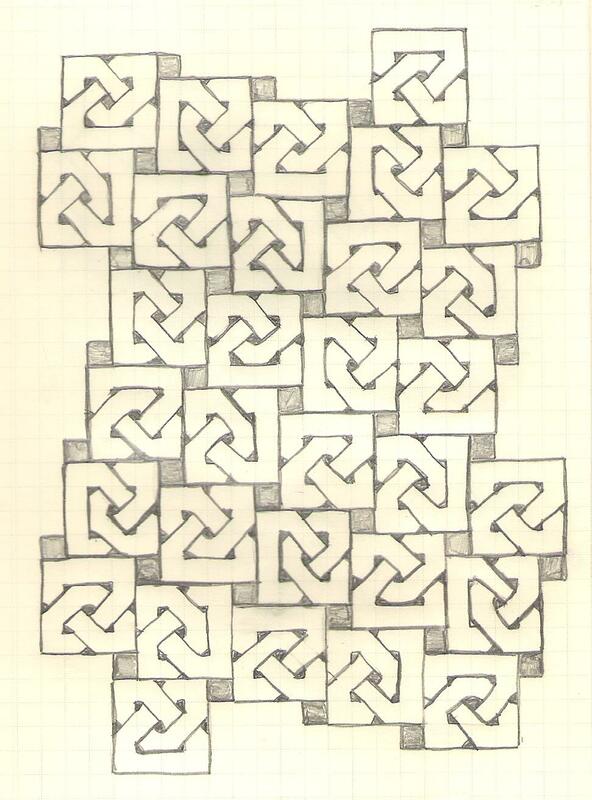 The image on the tiles are the simplest non-trivial knot, the trefoil, which you could also put together using these other tiles. Along a given row or column (following the slight skew), the tiles are alternately rotated back and forth by 90 degrees - in the rows they alternate between being placed at 0 and 90 degrees or at 270 and 180 degrees, and down the columns they alternate between being placed at 0 and 270 degrees or at 90 and 180 degrees. This placement allows the tiles to rotate as they revolve around each of the smaller black squares (which are 1/16th the size of the trefoil tile). In the picture below, as you follow the tiles clockwise around the small squares marked A the trefoil tiles rotate clockwise, but as you follow the tiles clockwise around B they rotate counterclockwise.